 The City of Auburndale’s Information Technology Department is a full service shop that provides service, repairs and training to all city staff. The city employs technologies such as VoIP, fiber connectivity, wireless, IP cameras, and VLan’s. IT also provides connectivity inside police vehicles and fire trucks to GPS mapping systems and databases. Our staff is proficient and highly trained in the latest gadgetry, software and data management. The city’s IT Department makes sure it is running at an optimum level so the other departments can function.